Dutch Ovens. Not just for camping anymore. 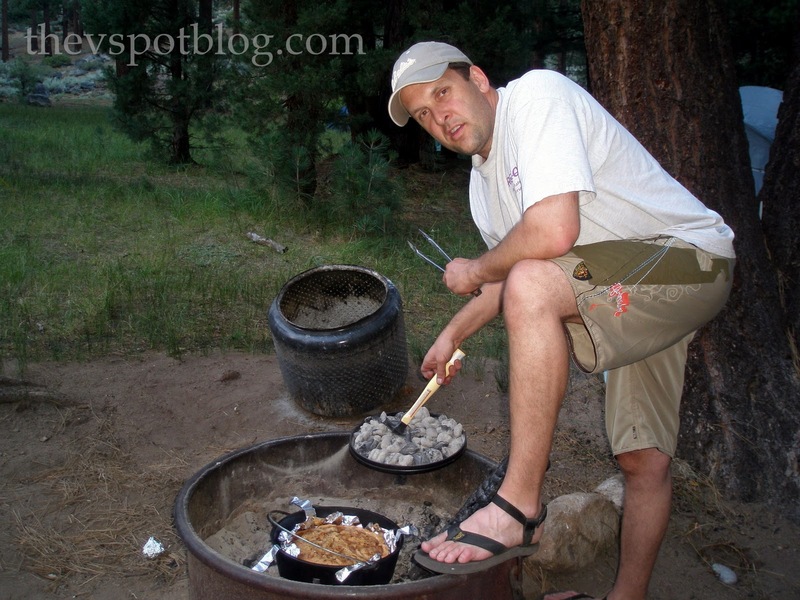 Do you have a Dutch Oven? Ever cook with one? But Handsome Hubby has one, and he has cooked several delicious dishes in it. We usually take it camping with us and he made us an amazing apple pie in it one year. It was so good! The Food Network has great Dutch Oven recipes and there are lots of sites that are run by Dutch Oven enthusiasts who can give you lots of tips and tricks. Just Google “Dutch Oven”. We went up to our cabin one Thanksgiving weekend and a snowstorm knocked out our power. We put our Thanksgiving leftovers in the Dutch Oven and placed it in the coals in our fireplace. In no time, we had a nice hot dinner. I bring this up now because 1) unfortunately some of you will have power outages in the next few months, (hello East Coast! ); and, 2) some of you will be cooking a lot of dishes for your Thanksgiving dinner, and you may have some, um, logistical issues fitting them all in your oven. See if you can do some potatoes or a pie outside while the turkey cooks inside. Maybe you can give your Crazy Uncle Larry an “outside” job and send him out to tend to the Dutch Oven… Just a thought. I have always wanted to try one. Thinking this is a fun Fall project for our family. My sister who lives in the land of Gun racks on every truck and men with “wide stances” (hello Senator Craig from Idaho) tells me they make delicious meals. Hopefully no power outages for us, off to Utah we go for Tday. LOL! Uncle Larry. More like my freakin’ parents or something! Dutch Oven cooking is so good and I love how one can stack the ovens on top of each other to cook. Pineapple Upside Down Cake is to die for when one uses a dutch oven. So Yummy! Man! I was at an estate sale yesterday and they had a little enamelware Dutch Oven for $5! I almost bought it. I would sit just right in our small gas grill. Well, we could always do our firepit and use my big Dutch Oven in there. Thanks for the idea! woo hoo! I love being survivalist-ish. I love dutch oven cooking. Everything gets so evenly cooked and is so juicy!! We love our camp oven. Our favourite is scones – lemonade ones. They come up really well and are really yum. We have even used it on the gas cooker we have to speed up the process.